Up to 100 members of "generation Xbox" will be offered a career in the secret services, under a scheme announced by Foreign Secretary William Hague. The recruitment drive was aimed at "the young innovators of this generation who will help keep our country safe in years to come", Mr Hague said. The 18-year-olds will be trained in advanced IT skills and then expected to work on tackling cybercrime. Their task was "every bit as serious" as conventional warfare, Mr Hague said. Speaking at Bletchley Park, the home of Britain's Second World War codebreakers, the foreign secretary said: "Today we are not at war, but I see evidence every day of deliberate, organised attacks against intellectual property and government networks in the United Kingdom from cyber criminals or foreign actors with the potential to undermine our security and economic competitiveness. "This is one of the great challenges of our time, and we must confront it to ensure that Britain remains a world leader in cyber security and a pre-eminent safe space for e-commerce and intellectual property online." Successful applicants to the Single Intelligence Account apprenticeship will pursue a foundation degree course in communications, security and engineering over two years at De Montfort University in Leicester. They will also study for a level 4 diploma in IT, software, web and telecommunications professional competence, and will be expected to work predominantly at GCHQ, the electronic communications agency - although some will go on to work for MI5, the security service, or MI6 intelligence agency. Mr Hague also used his visit to announce a boost in funding for the preservation of Bletchley Park, the forerunner to GCHQ. 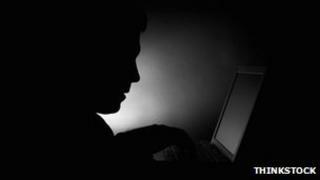 The cyber security minister in the previous Labour government, Lord West, said in 2009 that the government had recruited a team of former hackers for its new Cyber Security Operations Centre, based at GCHQ in Cheltenham. They had not employed any "ultra, ultra criminals" but needed the expertise of former "naughty boys", he told BBC Radio 4's PM programme.